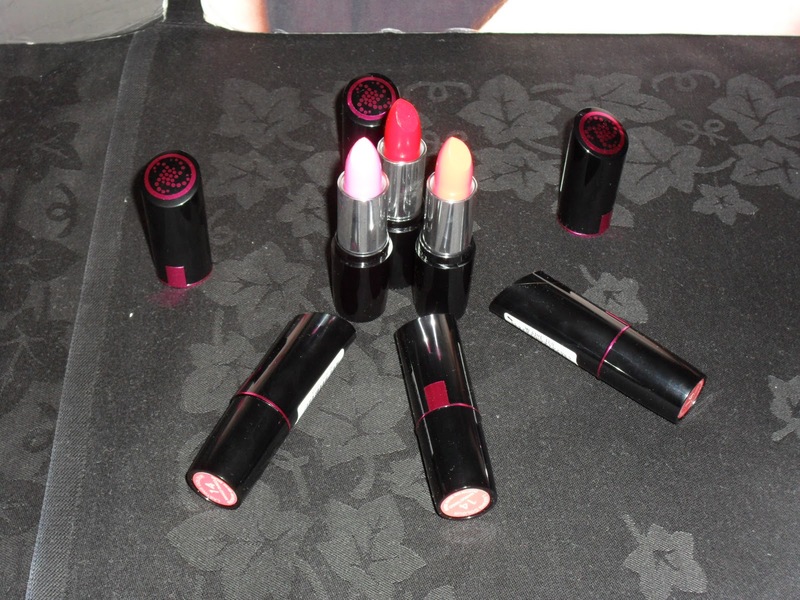 Ash-Lilly's Lacquer Lust: My jollies at Collection 2000's new line release party...pic heavy! My jollies at Collection 2000's new line release party...pic heavy! Hello friends, hope you are well. This post will be diverting somewhat from the norm (nails). Why? Well, I was invited by the very lovely Lauren from Collection 2000 PR to attend an evening of cocktails and cosmetics last night. In honour of the brand I thought I might buy one of their polishes for the first time. Some of you may be familiar with Collection 2000, a cosmetics line available at...wait for it...Boots AND Superdrug. If you know me in the flesh, you will be aware that I do not work in retail and my job is FAR removed from the world of beauty. 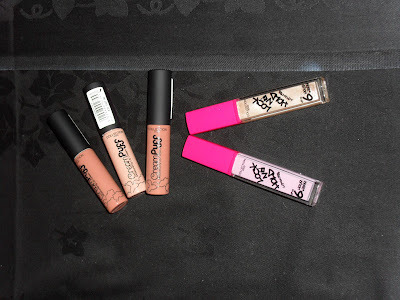 In short, my opinions in this post are mine and no-one has asked me to do anything apart from attend and play with make-up. Larry, one of my everlasting girlfriends, came with me to peruse. The new face of Collection 2000's Autumn/Winter line is Diana Vickers, a young singer well known for her successes during X Factor 2008. The products used to style her (all of the below) will be available at Boots and Superdrug from 5th and 25th October respectively. The soiree was located in Hush, a swanky restaurant fairly near to Claridges in the West End of London and upon arrival I was met with a flutes of champagne and browsing rights. Wanna see what I saw? Now these are cute and right up my alley, lol! Shimmy shake and Scarlet (£1.79 8ml). They are fast dry and I know this because the manicure I wore was the same brand in Fruit Punch. 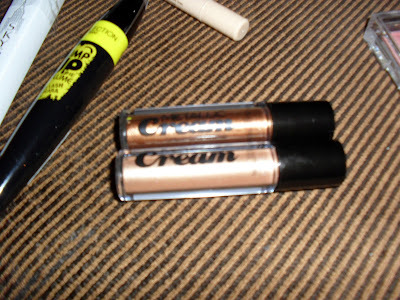 Illuminating Touch Concealer (£? ), Super Size Fat Lashes (£2.99), Pump up the Volume (£4.99) and Sky Scraper Mascara (£?) 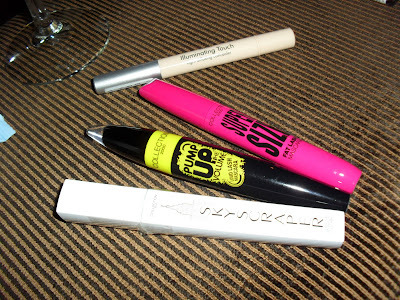 These seem to be the tools to use for impact lashes. I only have the Pump up the Volume but I have high hopes for it...I'll review it and get back to you. 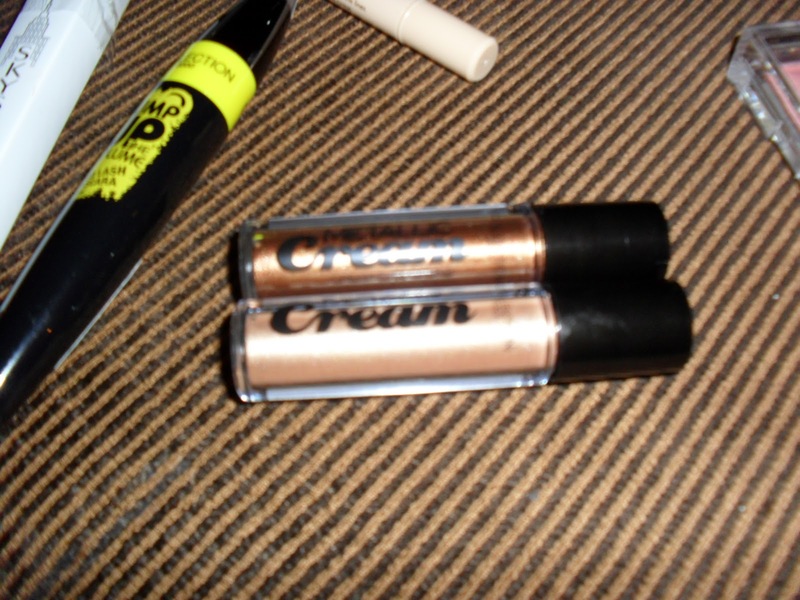 Cream puff lip glosses. I had one of these already and it feels like you are putting a moisturiser on your lips. It does dry matte though...so you may just want to put some other gloss over it if you don't like that effect. Like me. 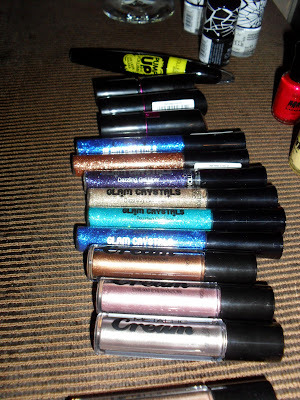 There is also the Lock n Hold lip gloss (which is supposed to last for up to 6 hours and I don't have a price for). Lasting Lipsticks at £3.49 I didn't get to look at any of these properly, because the room was low lit. 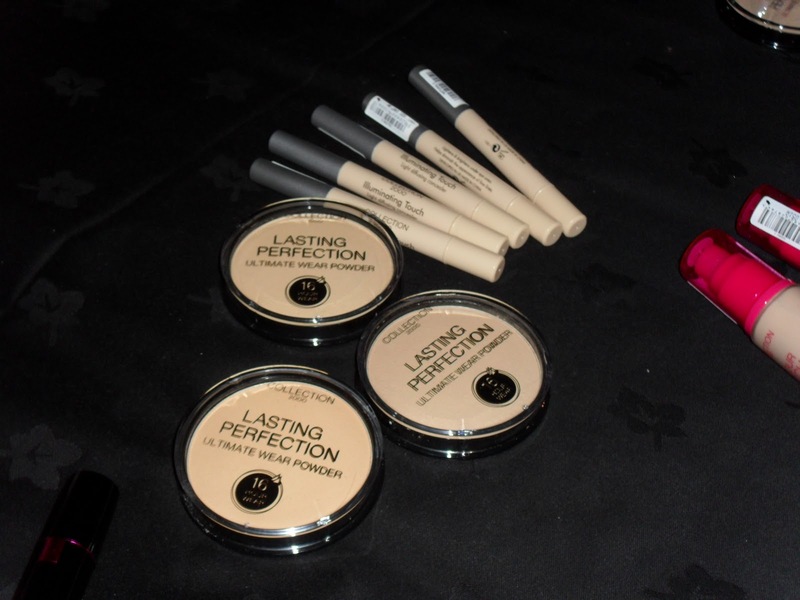 Lasting Perfection 16 hour wear powder. I don't know how much these are, but they come in fair, medium and um, dark. Unfortunately, the powder range is not something that a woman of darker skin tone would be able to wear. I'm a very light skinned black woman and these colours are no good for me. In the corner there are some Colour Match Foundations (£5.99) which come in five shades...again none of which were appropriate for my skin tone. There were other powders and polishes hanging around waiting to be played with but as the lighting was quite low, I didn't get an opportunity to get a good look. My verdict on the new line? I liked what I saw. 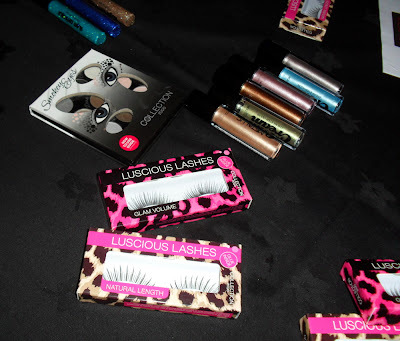 The nail polishes and eye products looked fantastic, along with the lashes. I'm also pretty eager to see if I can follow the instructions to create a smokey eye! I had a lovely evening and came away with some really nice products. I also got to browse in Bond Street at 9pm (when I'm usually on my sofa zoning out) and see some stunning sights. Check back for my next blog post to find out more.